Also included is aUSB sync/charging cable. It may be a generic cable or a cable in used condition. Headphones aren't included. Up to 4 weeks worldwide. Many scratches on the back, which is a common issue with these iPods. APPLE CLASSIC 6TH GENERATION 80GB. Storage: 80gb ( can take up to 30,000 songs). It has the latest Apple software / firmware installed and it was synchronized with the capacity for testing. Each individual part is benched and cleaned with isopropyl to bring it to a "new" state. Apple iPod touch 6th Generation Space Grey (64GB). Condition is New. Dispatched with Royal Mail 1st Class. APPLE iPOD TOUCH 64GB FULLY BOXED GOLD 6th GENERATION USED IN EXCELLENT CONDITION. (PLEASE NOTE: BATTERY WILL ONLY CHARGE TO 99%). NO MARKS OR SCRATCHES ON SCREEN. BRAND NEW HEADPHONES NEVER USED. RESTORED TO FACTORY SETTINGS. ****PLEASE NOTE: NO CHARGING CABLE OR USB CABLE WITH THIS ITEM. **** ONLY REASON FOR SALE IS MY SON HAS iPHONE NOW. NO OFFERS, AUCTION ONLY. Apple iPod Classic 5th Generation White (60GB) White in good condition. 4.5 out of 5 stars - Apple iPod Classic 5th Generation White (60GB) White in good condition. 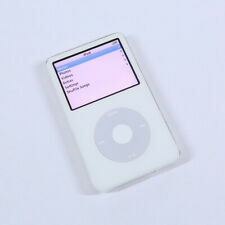 18 product ratings18 product ratings - Apple iPod Classic 5th Generation White (60GB) White in good condition. 64 GB - Boxed with no accessories - non personal dedication on back. IPod Touch 6th G eneration 64GB GOLD. Item hardly used no scratches like new only mark it has is engraved initials done by Apple “AU” hardly noticeable see pictures. Reason for sale, don’t use anymore. In full working order, iPod classic 80 GB. The back of the case shows signs of frequent use, all buttons work and screen is clear. Condition is used, but all are in excellent condition. Also comes with FM radio adapter, extra charge leads and TV lead. Cannot guarantee battery life. 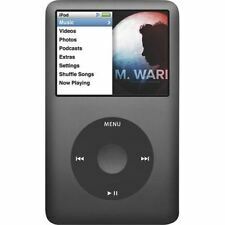 5th Generation Ipod classic 80GB Sold as shown in photographs. Perfect working order, has served me well over the past years. Has some cosmetic damage which I would simla y describe as wear and tear. (faint scratches to the mirrored rear casing). No cracks or breaks No headphones or charger included. Although If you wish for a small extra fee I could throw in a charging dock which doubles up as an alarm clock/radio. I'm sad to sell this as it has served me well and it a classic. But I simply don't use anymore. Looking for a good home. Screen protector and case installed since new. Apple iPod touch 5th Generation (2015) Blue (64GB). Condition is Used. Excellent condition - no marks. 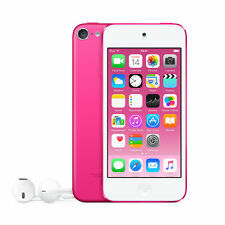 Apple iPod touch 5th Generation - Pink (64GB). Used very infrequently by younger sister for music and games. Good battery life and condition, except for an unfortunate crack in top right corner. Comes with cover, which now safely hides the crack :) Selling as younger sister is now saving up for a laptop. Apple iPod touch 4th Generation (Late 2010) Black (64GB). Huuuuge 64gb storage, ipod is in good condition for its age as seen in pics,it has been reset ready for new owner, comes with charger lead. Dispatched with Royal Mail 1st Class. Apple iPod Classic Black (80GB) Good condition with cable. Condition is Used. Low starting price of £20 for this rare and sought after Apple iPod (80 GB) with no reserve. Never used or handled. This is a very special piece of Apple history for tech lovers, collectors and music fans. Apple iPod touch 5th Generation Blue (32GB). Condition is Used. Dispatched with Royal Mail 1st Class. I've upgraded to an iPod Touch because I can't take the quirks of this little madam any longer. She doesn't work when she's cold - you often have to sit on her in the car or hold her in your hand to maintain the temperature she likes. Apple iPod Touch 5th Generation - Yellow - 64GB - Excellent condition! Apple iPod touch 5th Generation 64GB. Condition is used but in excellent condition - always been in a case and has always had a screen protector. 5 out of 5 stars - Apple iPod Touch 5th Generation - Yellow - 64GB - Excellent condition! 1 product rating1 product ratings - Apple iPod Touch 5th Generation - Yellow - 64GB - Excellent condition! APPLE IPOD CLASSIC/VIDEO 5TH GENERATION 80GB . Condition is used In good condition for age Small scratches to the back of the device. That can be seen on the pictures No scratches on the screen or the front of the iPod Currently has 9196 songs on it. And still has 30gb free Will come with a charging cable/ sync cable No headphones as they are used. No plug no original box. but will be well packaged to post Any questions please feel free to ask. Black ipod 80GB in good working order. Storage: 80gb ( can take up to 30,000 songs). It has the latest Apple software / firmware installed and it was synchronized with the capacity for testing. iPod Classic. iPod Touch. iPod Shuffle. iPod Accessories. 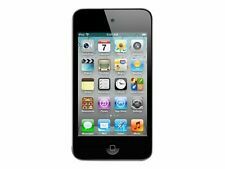 Apple iPod touch 4th Generation (Late 2010) Black (64GB). Excellent condition, battery life also good. No damage. Comes in original box Apple iPod 5th Generation 80GB Digital Player - Black. Condition is Used. Dispatched with Royal Mail 2nd Class. iPod (5th generation Late 2006)—also known as iPod with video or Fifth Generation iPod Navigation: Click Wheel Capacity: 80 GB Model number and date introduced: A1238: 2006-09 The last three characters of the serial number will be one of these: V9K, V9P, V9M, V9R, V9L, V9N, V9Q, V9S, WU9, WUA, WUB, WUC, or X3N. 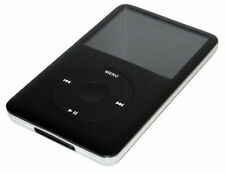 The Fifth Generation U2 Special Edition iPod (30 GB Late 2006) serial number's last three characters are W9G. Official Apple iPod Touch 5th Gen Yellow 64GB *VGWC*＋Warranty!! New Sealed Apple iPod Video 60GB 5th Generation Black (MA147LL/A) See Photos! 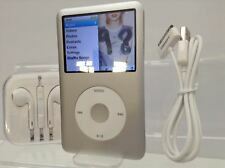 IPod Classic White A1238 80GB.